Late last year, reports surfaced that Audi will be discontinuing the R8 from 2020 onwards. The reasons were low sales. If that is the case, Audi might as well update the current gen R8 and let the model go out with a bang. 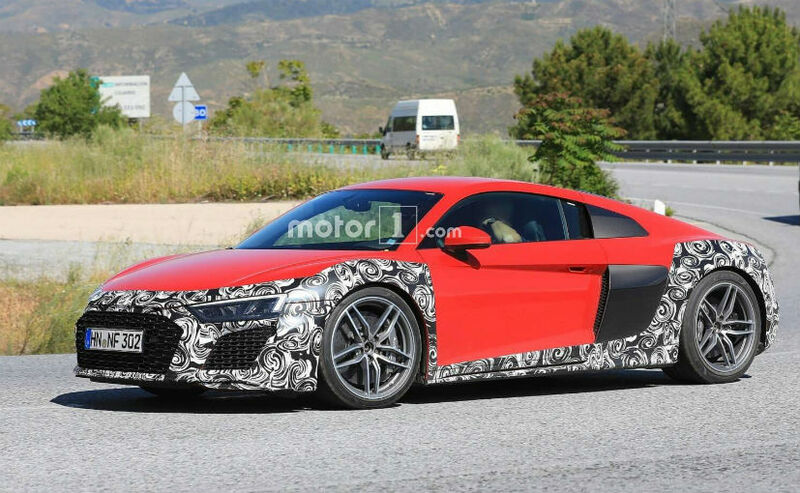 There have been multiple spyshots where the 2019 R8 Facelift was spotted testing. While the full car is not covered in camouflage but the bits which will get an update are. This gives us a brief idea of what all could be changed in the car. Starting with the front, the R8 might get a revised bumper with bigger intakes and a new mesh pattern. The shape of the front grille too has been changed, with it now being similar to other Audis. It now carries a proper trapezoidal grill which is signature of Audi cars. The sills on the side too are camouflaged, which means that they just might get a refresh in order to boost the car's aerodynamics. At the rear, the bumper seems to be all new as it accommodates two new oval exhaust tips. The mesh at the rear on the test mule now extends to the extremes, unlike the current gen car which had a narrower mesh at the rear. Expect Audi to also give few updates to the 5.2-litre V8 engine. It currently pumps out 602 bhp but the same engine on the Huracan Performante makes approximately 630 bhp. So it sure lies within the realm of possible. 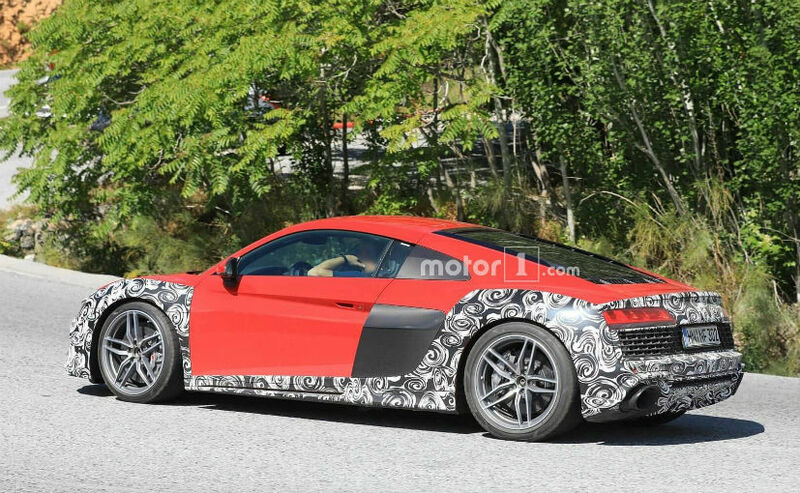 The 2019 R8 Facelift could be officially revealed later this year or early next year.